Youth in Ontario can now apply for summer jobs and gain valuable skills and experience this summer. 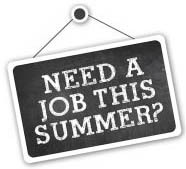 Find a summer job through Employment Ontario or community agencies. Get help with résumé writing and preparing for interviews. Apply for funding to start their own summer businesses. Gain experience working with the Ontario government. More information is available at www.ontario.ca/readysetwork, along with details on year-round programs to help youth under 30 build skills, start a business, or find a job. Helping young people get work experience is part of the government’s economic plan for Ontario. The four-part plan is building Ontario up by investing in people’s talents and skills, building new public infrastructure like roads and transit, creating a dynamic, supportive environment where business thrives and building a secure savings plan so everyone can afford to retire. In 2014, Ontario’s Summer Jobs programs allocated almost $78.5 million, which helped 117,217 students. Ontario is offering employers a $2-per-hour hiring incentive to hire summer students. Ontario’s Youth Jobs Strategy is investing $295 million over two years to help 30,000 young people aged 15-29 find work, build job skills and start their own businesses. The strategy’s signature program, the Youth Employment Fund, recently exceeded its two-year goal of helping more than 25,000 young people find jobs and access training. Employment Ontario offers year-round services to help Ontarians find employment. In 2013-14, Employment Ontario served approximately 155,000 youth across a range of programs, and the network now offers online support through Employment Ontario Live Chat. There are more than 35 government programs to help youth build skills, find a job or start a business.